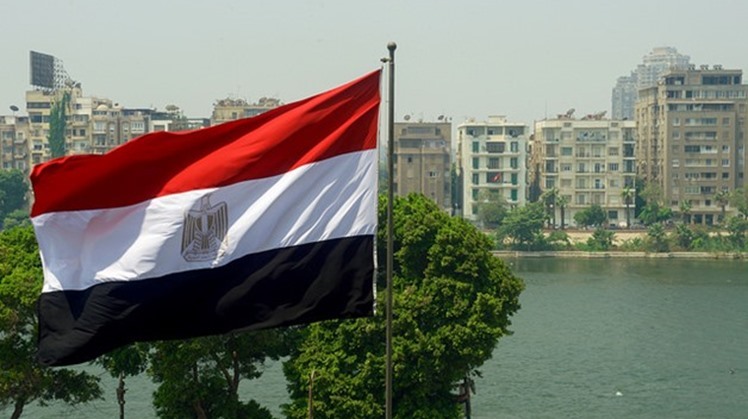 CAIRO - 11 February 2019: The battle against corruption is vital to the success of Egypt’s Vision 2030 for sustainable development as corruption stifles growth and development. Thus, the country has adopted strict measures among its official institutions to crack down corruption related violations as well as impunity and lack of respect for the rule of law. High rates of corruption can lead to socioeconomic inequality, legal inequality, rule-of-law problems, insufficient economic development, difficulties with attracting foreign investment and tourism, as well as an increase in human rights violations. It affects the functioning of all state institutions. In 2014, Egypt launched its first four-year national anti-corruption strategy developed by the National Coordinating Committee for Combating Corruption, and implemented by a technical committee headed by the Administrative Control Authority (ACA). The strategy set specific objectives, policies, programs and mechanisms to control corruption and create a culture that counteracts it. The anti-corruption strategy’s objectives include improving the government’s performance, updating the anti-corruption legislation, strengthening the judicial procedures to achieve prompt justice, strengthening civil society engagement in combating corruption, raising living standards and achieving social justice to building trust between citizens and state institutions. Implementing bodies of the strategy include the National Commission for the Coordination of Humanitarian Affairs and the Anti-Corruption Branch, the Parliament, local councils of governorates, ministries and government agencies, as well as various supervisory bodies, councils, universities, research institutes, media and civil society. The criminal code which criminalizes active and passive abuse of power including facilitating payments and bribes in private and public institutions. The regulatory framework which obligates public officials to declare their assets, upon taking their position, at the end of their term and every 2-5 years during their mandate. This framework applies to all public officials excluding judges, who are required to declare loans, bank deposits, real estate assets and valuable movables only. The “Anti-Money Laundering Law” which prohibits laundering funds generated from crimes related to drugs, terrorism and exploitation.The “Conflict of Interest Law” regulating what activities and assets senior public officials may and may not enjoy in line with the 2014 Code of Conduct of Public Employees which contains integrity provisions. Prohibiting corporate and foreign donations to political parties. All political parties are required to disclose any donations they receive and the Central Audit Organization (CAO) monitors the activities of internal parties’ auditors. Established in 1997, the agency aims to organizing, follow up and monitor all the activities of electrical energy production, transmission, distribution and consumption. It ensures the availability and continuity to meet the requirements of different usage at a reasonable price and preserved environment, considering the interest of the producer, transporter, distributer and the consumer of electricity, adapting fair competition in the activities of electrical energy production, transmission and distribution. Composed of seven judges and assisted by a secretariat made up of representatives from the judicial power and various ministries, the SEC serves as Egypt’s electoral management body with independent budget and financial management. SEC’s board members are appointed by presidential decree, based on their position in the judicial hierarchy, and they are bound by the code of judicial conduct. According to the authority’s vision statement, it aims to “ensuring free competition in the market and prohibiting anticompetitive practices, in order to serve producer and consumer interests and enhance efficiency of the national economy”. To achieve this vision, the ECA focuses on two main tools: competition enforcement and advocacy. ​​Established as a national regulator and administer of the telecommunications sector, in accordance with the provisions of Telecom Regulation Law No. 10/ 2003, the authority is responsible for creating and enabling the environment for competition among operators in the industry as well as ensuring the provision of qualitative, diverse, innovative and efficient telecommunications services and technologies throughout the country. A public authority established in accordance to law 10/ 2009 and responsible for supervising and regulating non-banking financial markets and instruments, including the Capital Market, the Exchange, all activities related to Insurance Services, Mortgage Finance, Financial Leasing, Factoring and Securitization. FRA ensures market stability and competitiveness to attract more local and foreign investments. The mandate of the Authority also includes “limiting inconsistency risks and addressing problems arising from applying different supervisory rules”. The FRA replaces the Egyptian Insurance Supervisory Authority, the Capital Market Authority, and the Mortgage Finance Authority in applying the provisions of the supervision and regulation of Insurance law no. 10/1981, the Capital Market law no. 95/1992, the Depository and Central registry law no. 93/2000, the Mortgage Finance law no. 148/2001 respectively, as well as other related laws and decrees that are part of the mandates of the above authorities. The function of the office is divided between the National Council for Women (NCW) and the National Council for Human Rights (NCHR), where citizens can file complaints in an easy process. Both councils are independent by law; and they present reports to the president and the prime minister’s offices, in addition to ensuring their availability on their official websites. An independent auditing institution established in 1942 as an instrument of public finance control. The organization reports directly to the President who nominates the head of the organization through a presidential decree. The CAO supervises the management of about 130 public-sector companies and government departments, 120 service agencies, 29 governorates, 50 economic authorities and more than 160 state-owned enterprises, political parties, trade unions, national and political parties’ affiliated news media and all units subsidized by the State. As required by the law, the organization has an independent budget. It issues nearly 30,000 reports each year for the president’s office, the prime minister office and the parliament. Established by act No. 118/1964; the agency aims to reform and boost the governmental administration systems and performance through developing the civil service system and ensuring justice and equity among employees. The CAOA suggests laws, decrees and regulations concerning State civil servants and provide advice on projects related to personnel affairs before their approval. The agency has the right to communicate directly with different governmental bodies in all levels and require data and statistics needed to practice its competences. A governmental agency established in accordance with law No. 67/2006 and affiliated to the Ministry of Supply and Internal Trading. The CPA is responsible for addressing any commercial corruption through monitoring the standard specifications for each product, which in turn supports local industries and services. The agency controls the market and ensures safety in all commercial transactions, regulates the relationship between the merchant and the consumers, provides full protection to the consumers and applies the terms of the Consumer Protection Act law. Established in 1975 under the Ministry of Justice, the authority investigates cases of suspected illegal revenue. The IGA collects the asset declarations required by public officials upon joining the sector. It does not enjoy investigative power, but receives reports concerning corruption from private and public employees and passes the relevant cases to investigate authorities. An independent financial intelligence unit established in accordance with the Anti-Money Laundering Law of 2002 within the Central Bank of Egypt (CBE). The MLCU receives all reports concerning money laundering and terrorism financing activities and offences; and reports to the public prosecution body. The unit shares information related to its activities with other organizations within and outside of the country. Established in 1964 as an independent entity under the auspices of the prime minister, the ACA is the supreme control authority fighting all forms of corruption among the state’s institutions and public servants through internal control elements. It comprises of several units that are responsible for; studying the causes of negligence in work, following-up on regulations and systems, revealing the defects in the administrative, technical, and financial systems, preventing crimes on duties and tendencies to abuse authority, examining media coverage of issues revealing misconduct in public services, seizing public funds crimes committed by public employees, examining complaints received from citizens or concerned authorities, investigating illegal gain cases, conducting investigations on candidates for top management posts, providing reports to relevant authorities and conduct any required studies. The ACA’s law serves as a comprehensive anti-corruption law to enhance the implementation of existing legislations and ensure proper coordination among relevant institutions playing a role in fighting corruption without confusion and overlapping responsibilities. In 2018, ACA’s law was amended according to proposals by the parliament that included transferring the subordination of the ACA to the president, giving the president the right to name the ACA's chairperson after parliament’s approval and recognizing the authority as a state body with technical, financial and administrative independence. The amendments obliged the ACA to submit an annual performance report to the president of the republic, parliament and the cabinet in line with Article 217 of the constitution. They also push the authority to coordinate with other watchdog institutions such as the Central Auditing Agency to forge a new anti-corruption strategy and improve the values of transparency and integrity in line with Article 218 of the constitution. The amendments has given the ACA more powers to tighten control on corruption and to help the government's 2014 National Anti-Corruption Committee fight nepotism and reinforce accountability in government circles. On November 12, a judicial court in Giza sentenced former Monufia Governer, Hesham Abdel Baset, to ten years in prison and ordered him to pay a fine of LE 15 million. Abdel Baset, was charged with taking bribes worth LE 27 million, out of which LE 450,000 was in exchange for implementing projects under the government’s supervision. The case started in January 2018, as the ACA arrested Abdel Baset and two businessmen after recording phone calls proving the governor agreed to take LE 2 million as a bribe in return for land licenses. In February, the Cairo Criminal Court sentenced former Helwan governor, Hazem el-Qowaidi, to five years in prison and a fine of LE 50,000 over receiving bribes during his tenure. Qowaidi was arrested in March 2017 over accusations of receiving a bribe to illegally transfer government-owned land in Maadi to a private company. He was also accused of receiving a Mercedes worth LE 1 million in return for the illegal transfer of an 800-square-meter land plot in Southern Cairo to a car company. In August, the former deputy governor of Alexandria Souad al-Kholy and six other defendants were arrested over charges including bribery and damage of public money. Investigations confirmed that the deputy has received money, material gifts and gold jewelry worth more than LE 1 million from businessmen in return for exploiting her powers, which caused losses of about LE 10 million from the public money. In December, Major General Ibrahim Abdel Aaty, head of Giza’s Al-Haram district, and three other defendants were referred to the Criminal Court over bribery accusations. The police investigations revealed that Abdel Aaty negotiated receiving a bribe consisting of three apartments, bank checks and LE 700,000 from three construction companies to halt legal procedures that had to be carried out against some of the buildings that violate the law in Al-Haram district. In July, the Head of the Customs Authority Gamal Abdel Azim was accused of receiving a financial bribe of LE 1 million from an importer of textiles in exchange for the termination of customs clearance procedures for certain imported goods. In addition to these high-profile corruption cases, the ACA’s report of performance for 2018 reveals that the authority managed to uncover dozens of cases. These cases include arresting a technical director at Ismailia’s real estate registry office for misusing his position in order to legalize an illegal ownership of some citizens’ lands. And in Fayoum, a number of government officials were arrested on charges of facilitating the misappropriation of lands for some citizens. In Gharbeya governorate, the director of the contracts department at the housing directorate of the governorate was arrested on charges of accepting bribes from a national newspaper and a number of employees at the Ain Sokhna port were arrested on charges of receiving briberies to facilitate the entry of large shipments of electronic by defrauding documents. Other cases revealed by the ACA include arresting a representative of a tourist company who offered a bribe to an employee at the Ministry of Manpower to include 64 people in the government-sponsored pilgrims travel list. And two nurses were arrested at the Oncology Department of a famous university hospital for taking drugs worth about LE 1.5 million for profiteering purposes and another auditor for embezzling LE 380,000 that were taken out from the salaries of the medical staff at the hospital. The ACA also arrested an employee at the Customs Authority for accepting bribery from a representative of a company – which is in a legal dispute with the authority – for leaking classified documents that can be used in favor of the company that the Authority is legally suing.